The English countryside in Autumn, with smoke from a warm log fire to welcome us home. Category: Originals by Colin Ruffell. 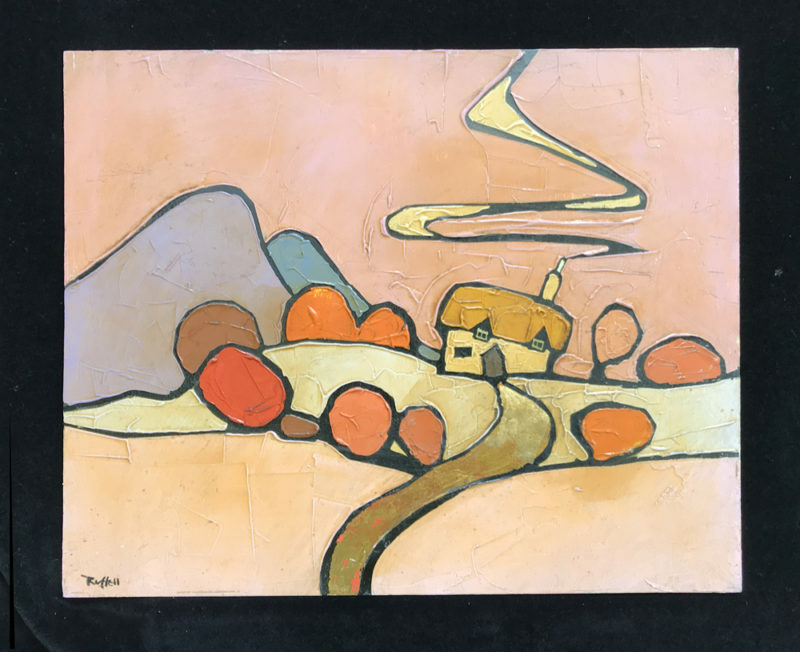 Tags: cloisonism, Countryside, Landscape, Naive, original painting. One of my black line paintings from ages ago. This is a fantasy landscape celebrating the English countryside.